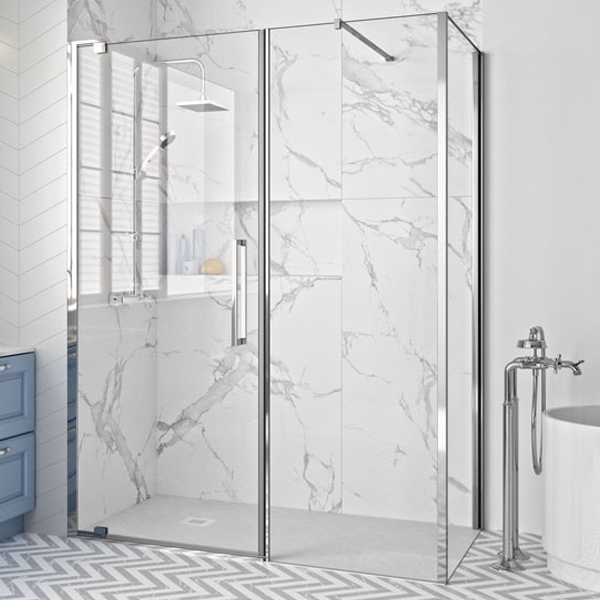 The Merlyn 10 Series Pivot Shower Door and Inline Panel 1600mm Wide - Clear Glass is a model from the 10 Series collection of shower doors and enclosures by Merlyn, one of the leading showering brands in the UK. Supplied with an inline extension panel to create a larger space, this pivot door is suitable for installation in a recess as standard but can be combined with a side panel to create a corner enclosure. Supplied with a lifetime guarantee for total peace of mind, this market-leading M101271C model is certain to create maximum impact in your bathroom. Enhance the pleasure of your bath and relax completely by installing this beautiful product.